I do adore BATHORY and has been listening through the full discography numerous of times, yes the whole discography, even though some albums are somewhat better than others, so do they all have their charm, in some way or another. Though my absolute favorite albums from Quorthon (RIP) are the five first, they have chiselled themselves into the backbone of my Metal-belief, they are simply all beyond great! “Bathory”, “The Return…”, “Under The Sign Of The Black Mark”, “Blood Fire Death” and “Hammerheart”, I can’t pick a favorite, they are all equally arsekicking! Why am I writing a tad about BATHORY, well, it’s all due to me finding “In Conspiracy With Satan – A Tribute To Bathory” in a CD collection I bought recently. The album is compiled by David “Blackmoon” Parland (RIP) known from bands like NECROPHOBIC, DARK FUNERAL, WAR, INFERNAL and a few more, relased on his Hellspawn Records, a subdivision to No Fashion Records, the once leading Swedish Metal label. We find a legion of great Swedish bands on thios album together with two Norwegian in EMPEROR and SATYRICON. My highlights on the release is GEHENNAH’s ripping raw version of ‘Reaper’, DARK FUNERAL’s colder than ice interpretation of ‘Call From The Grave’, EMPEROR’s almost more epic than the original ‘A Fine Day To Die’ and NIFELHEIM’s take on ‘Die In Fire’, that you can check out just below. 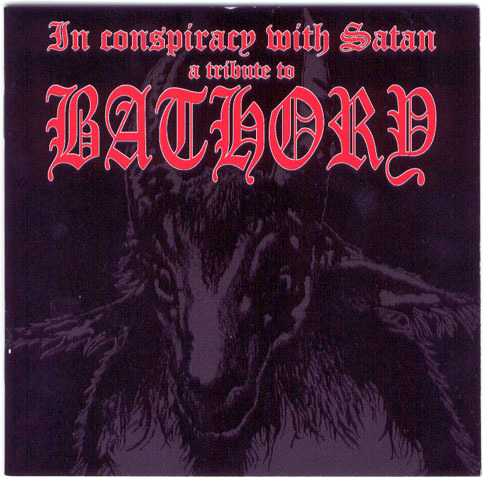 Find the album and spin it in the legacy of Quorthon and Blackmoon!